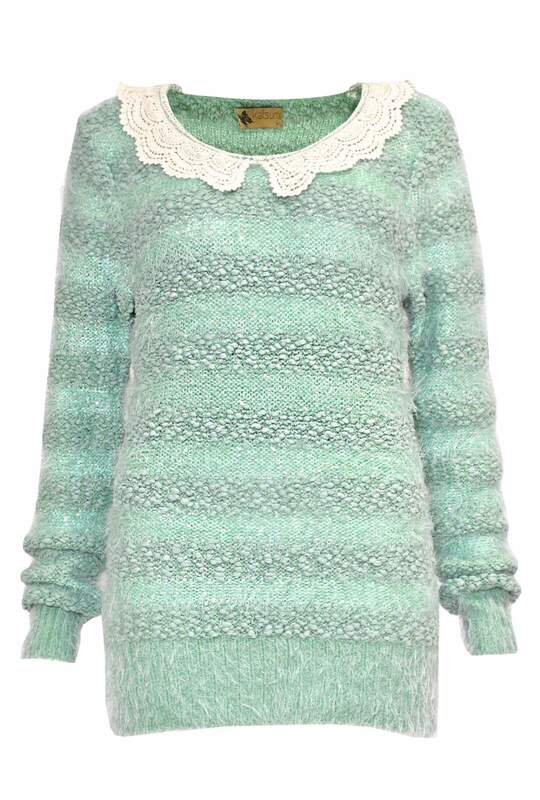 This knit jumper featuring crochet Peter Pan collar is a must have item for this next season. 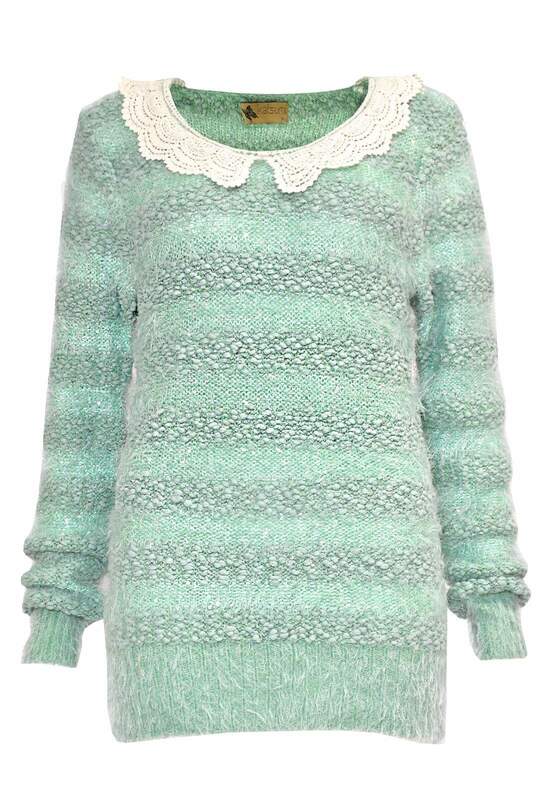 Perfect for that chilly days. 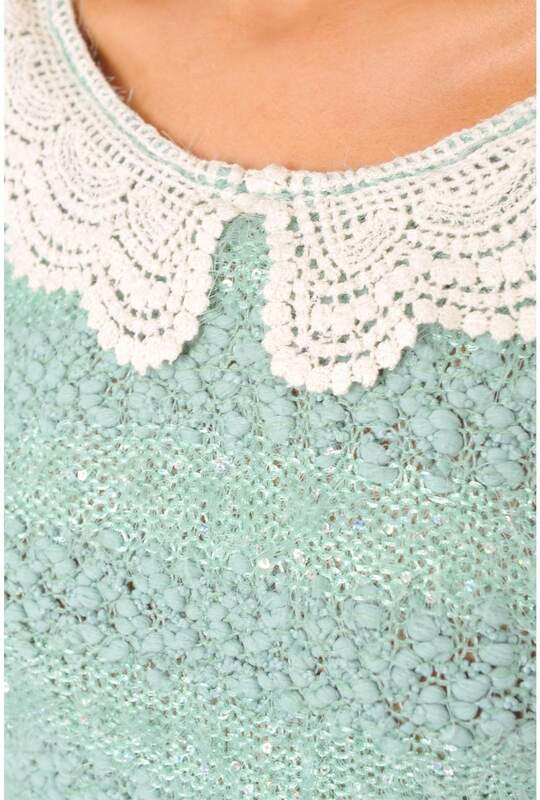 For the ultimate look, why not team this top with some high waisted jeans and high heels.